Bicycle parking is space for the temporary storage of a bicycle in the form of a rack, locker, or storage area of appropriate design and dimension, used exclusively for the storage of a bicycle, subject to the dimensional requirements of Subtitle C, Chapter 8. 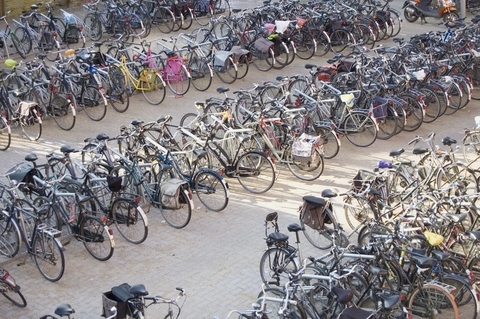 Any building permit application for new construction or an addition to an existing building should include a bicycle parking plan, which should be depicted on detailed site plans and building plans and demonstrate full compliance with Subtitle C, Chapter 8. The Zoning Administrator may request that District Department of Transportation review and make a recommendation regarding any item on the bicycle parking plan prior to approving the building permit application. No certificate of occupancy will be issued unless the bicycle parking spaces have been constructed in accordance with the approved bicycle parking plan.